Bread: Back to Basics is a day-long bread experience. In a world where real bread is so hard to come by, this course will equip you to make consistently good, wholesome bread at home. 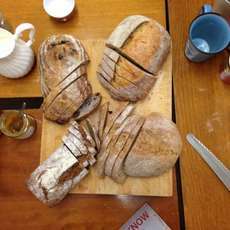 This hands-on course takes bread back to its essential ingredients – flour, water, salt and yeast – and teaches you a great repertoire of beautiful breads based on these basic building blocks.